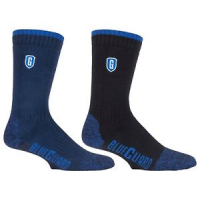 Blueguard is a leading maker of heavy duty work socks. 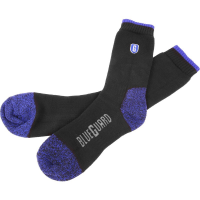 Blueguard socks are lifetime guaranteed not to get holes. They last over 46 times longer than standard, branded sports socks. If holes are worn in the socks, we’ll provide you another pair – free of charge. For more information, contact Blueguard now. Saves money: You don’t have to spend money buying socks that won’t last. Saves time: Don’t waste time throwing away socks with holes again. Protects your feet: Offers the comfort and protection needed to work on your feet day in, day out. 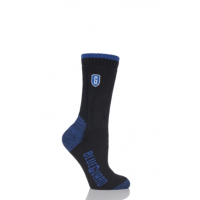 Long-lasting: Last up to 925,000 cycles, 46 times longer than a standard sports sock. Comfortable: Comfort fit, arch support, full cushion, cotton rich body, extended heel. 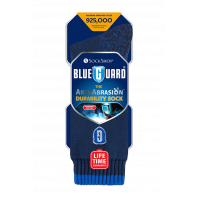 Lifetime guarantee: Receive a free pair of Blueguard socks if holes appear in your current pair. 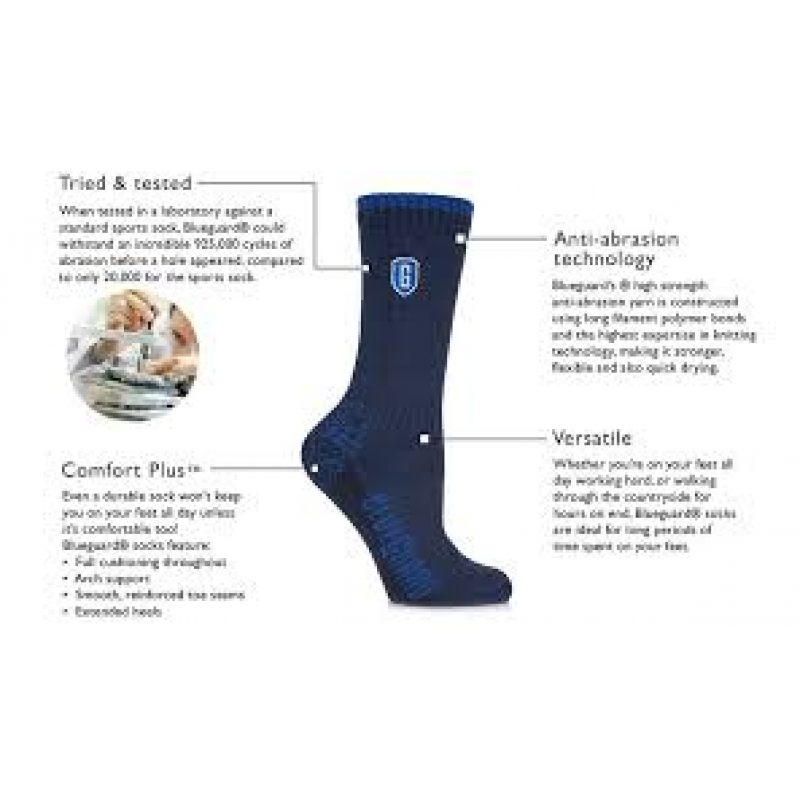 Scientifically tested: Proven to last longer than any other sock on the market. 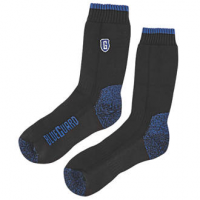 International brand: Blueguard is owned by Sock Shop, a global sock manufacturer. 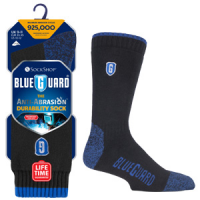 How long do Blueguard heavy duty work socks socks last? 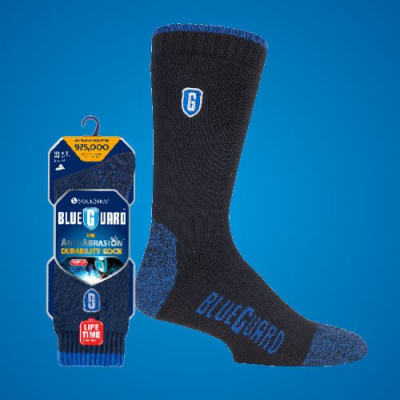 Blueguard socks are scientifically proven to last 925,000 cycles. But how many cycles is that compared to other socks? That means Blueguard long lasting socks last a huge 46 times longer than standard, branded sports socks.